The purpose of this study is to assess the costs and risks of an American restaurant doing business in Ireland. While many aspects must be considered in a full analysis of risk and reward, this particular article will focus on the conversation in respect to Ireland’s geographic characteristics as opposed to those of the United States. To begin, we must first consider Ireland’s population centers and density. Ireland’s largest three cities include Dublin, Belfast, and Cork. Dublin records a metropolitan population of 1.8 million citizens, and can be compared to the U.S. city of Nashville, TN which houses a population of 1.75 million in its metropolitan area (World Population Review). However, the population density of these cities is not congruent. Dublin houses approximately 11,880 citizens per square mile, while Nashville only 1,204 people per square mile (World Population Review). Dublin’s population density would better be compared to Chicago, Illinois, which houses 11,868 citizens per square mile (U.S. Census Bureau). On the other hand, the Belfast metropolitan area is home to 585,000 citizens, and can be compared to the U.S. city of Augusta, GA, which holds 590,400 citizens in its metropolitan area (World Population Review, Forbes). In regards to density, however, Belfast is much denser than most of Northern Ireland, housing 6,500 people per square mile (World Population Review). This statistic compares to Milwaukee Wisconsin’s population density of 6,188 citizens per square mile (bestplaces.net). Finally, Cork, Ireland’s metropolitan area includes 399,802 citizens, and can be compared to the U.S. city of Savannah, Georgia’s metropolitan area which is home to 379,199 citizens (Irish Times, U.S. Census Bureau). Through this data, it can be concluded that while styles of food may need to change, restaurants operating in similar size metropolitan areas may find success across the Atlantic Ocean. This is because restaurants operating in these stateside cities will be familiar with the competitive advantages held on this scale of population related to their respective city. These aspects may include number of customers served, advertisement impact, supplies logistics, and the equilibrium labor needed to operate a specific size restaurant. Language and transportation are common barriers when a country is trying to open a business abroad. America and Ireland have limited issues when it comes to communication. A vast majority of Ireland speaks English, therefore, it makes it easier for businesses between the two countries to communicate. The Irish believe strong in using good manners and politeness; they do this as a way to show respect and good manners, as well as using it to avoid conflict. When it comes to a business, the Irish have a similar business etiquette that is expected of Americans as well, such as: firm handshakes, eye contact, and smiling. Irish do not focus as much on your body language, but what you actually say. Irish take pride in that what you say, is what you mean, there isn’t body language that explains what you are trying to say (Home). The restaurant industry typically wants to pick a place where people will pass by during their day and have plenty of access to. Thankfully Ireland has plenty of transportation options throughout the country. Similar to the United States, that have railroads, buses, cars, planes, and boats to get around the country (Travel in Ireland). From the big urban cities, like Dublin, to small rural towns, there is plenty of access to get around easily. Most of the transportation routes direct toward the larger cities, but still have the convenience for those on the outskirts(Modes of Transportation in Ireland). Everybody has the access that they need to get a bite to eat while going about their day. The United States and Ireland are fairly similar when it comes to assessing a restaurant’s compliance with environmental regulations. The areas of assessment in the United States are air quality regulations, water quality regulations, waste regulations, and consumer protection regulations. The areas of assessment in Ireland are atmospheric emissions and air quality in the workplace, wastewater management, hazardous and non-hazardous waste management, bulk materials storage and containment, and the general condition of the working environment. The United States and Ireland have very similar regulations when it comes to air quality, water quality and waste regulations. When analyzing air quality, refrigerants and odor are the main focus. Water quality regulations mostly have to do with keeping oil and grease out of the drainage systems. In the United States, consumer protection regulations are assessed. This includes ventilation, water, and plumbing systems. Additionally in Ireland, bulk materials storage and containment and the general condition of the working environment are assessed. Bulk materials storage and containment assesses the storage of hazardous and non-hazardous materials such as chemicals, solvents, and cleaning materials. The general condition of the working environment is assessed by looking at the tidiness and accumulation of excess waste in the workplace. Ireland has many ways in which anyone can access the country. Ireland has three main international airports, and ten other regional airports. Dublin airport is Ireland’s largest airport and offers the widest choice of international routes (TripAdvisor). Dublin airport handles seventy five percent of all air traffic going into and out of Ireland (TripAdvisor). Another way to get to the mainland would be through ferries which operates at four main areas including: Dublin Port, Dun Laoghaire Port, Rosslare Europort and Cork Harbour (TripAdvisor). Ireland has an estimated 6.9 million hectares of land, where around 4.4 million hectares or sixty four percent is suitable for agricultural use (Land Use Zoning). When the question pops up on whether a country is more agriculture or industrialized, Ireland is easily an agricultural country. Ninety percent of Ireland’s agricultural area comprises of pastures, hay, and silage. About thirty percent of the agricultural area is devoted to dairying, and fifty five percent to cattle production (Land Use Zoning). Due to zoning laws restaurants are under consideration when it comes to residential areas in Ireland. For residential areas they prefer to enhance the lives of the people by building nursing homes, schools, and parks instead (Land Use Zoning). In neighborhood areas restaurants are permissible to better the atmosphere of the area and making life easier for the residents by allowing things they would want to be within walking distance. Within the city restaurants are allowed to help add to the mix. This zoning law which applies to the city strategically tries to provide a dynamic mix of uses, which all interact with each other, and creates a sense of community (Land Use Zoning). This evidently sustains the life of the inner city during both day and night. When it comes to institutional land, or land that has potential for future developement, restaurants are permissible. Though this land is specifically supposed to better the area and the lives of the residents by building things such as: child care facilities, community facilities, conference centres, cultural and recreational building and uses, and education embassies (Land Use Zoning). 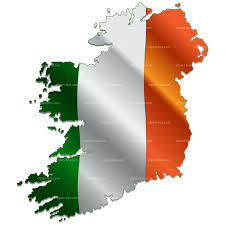 Ireland is composed of 32,595 miles of land and surrounded by cold Atlantic water. Weather is mainly moderate mild. It does rain but not all the time like most people think. On average the temperature is 50 degrees F. Majority of the weather fluctuates with the Atlantic Ocean. From January to April are the coldest months getting below freezing. September is mild temperate weather with air temperatures reaching around 46 degrees F. May to August are the warmer months. In August days are 18- hour daylight and it is considered the warmest month. (Ireland Weather). In conclusion Ireland’s cities hosts a great place for a restaurant. Denser the population in a residential area or city life would be the best for the business to succeed. Human traffic would be frequent from people walking, trains, or any other city life transportation which would provide a great balance of customers for our restaurant. Weather yearly isn’t too harsh. A patio fronted building would suffice to provide an outside area to relax on clear sunny days. There are many similarities between Ireland and America already which would provide regulations standards to be very similar. Ireland is a growing nation and would be a great host to bring a new restaurant into their economy. “Ireland’s weather – our seasons, climate, and when to visit.” Ireland.com. Ireland , n.d. Web. 14 Feb. 2017. “World Population Review.” World Population Review. N.p., n.d. Web. 20 Feb. 2017. “Home.” Ireland – Language, Culture, Customs and Etiquette. N.p., n.d. Web. 18 Feb. 2017. Bureau, US Census. “Census.gov.” US Census Bureau. N.p., n.d. Web. 20 Feb. 2017. “Augusta, GA.” Forbes. Forbes Magazine, n.d. Web. 20 Feb. 2017. “Modes of Transportation around Ireland.” Modes of Transportation around Ireland. N.p., n.d. Web. 19 Feb. 2017. “Travel in Ireland: By Road.” Ireland.com. N.p., n.d. Web. 19 Feb. 2017. “Fayetteville, AR.” Forbes.com. N.p., n.d. Web. 20 Feb. 2017. Roche, Barry. “Strong Support for ‘metropolitan Cork’ Plan, Says Review Group.” The Irish Times. The Irish Times, 17 May 2015. Web. 20 Feb. 2017. Geraghty, Robert, et al. “Environmental Compliance in Ireland’s Food and Drinks Industry.” Enterprise Ireland. n.d. Web. 15 Feb. 2017. “A Guide to Environmental Regulations for Restaurants & Food Service Businesses.” USDA. n.d. Web. 15 Feb. 2017. “Ireland: Airports & Ferry Services.” Ireland: Airports & Ferry Services – TripAdvisor. TripAdvisor, 2017. Web. 20 Feb. 2017. 14, Chapter. LAND USE ZONING (n.d.): n. pag. N/A. AICMÍU ÚSÁID TALAIMH, 2016. Web. 18 Feb. 2017.